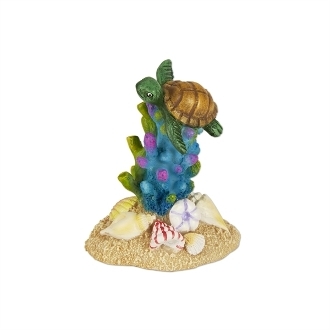 Sea Turtle with Coral for Merriment Mini Fairy Gardening. Full Description: Add some color and life to your underwater mini garden with this seaturtle swimming among the coral. Swimming Seaturtle is underwater safe, features all-weather paint, and is made of resin.